The famous tower clock known as Big Ben, located at the top of the 320-foot-high St. Stephen’s Tower, rings out over the Houses of Parliament in Westminster, London, for the first time on this day in 1859. Denison’s design, built by the company E.J. Dent & Co., was completed in 1854; five years later, St. Stephen’s Tower itself was finished. Weighing in at more than 13 tons, its massive bell was dragged to the tower through the streets of London by a team of 16 horses, to the cheers of onlookers. 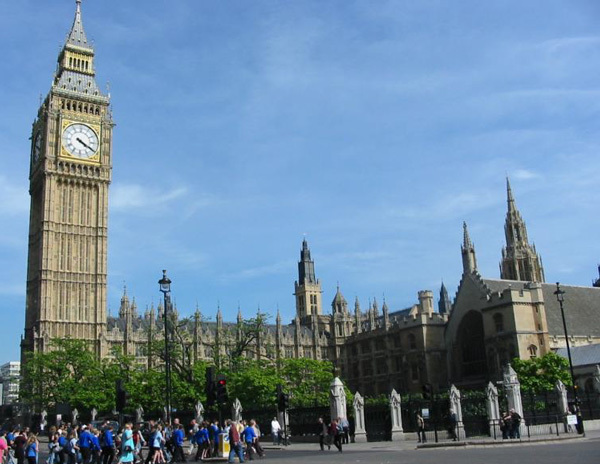 Once it was installed, Big Ben struck its first chimes on May 31, 1859. Just two months later, however, the heavy striker designed by Denison cracked the bell. Three more years passed before a lighter hammer was added and the clock went into service again. The bell was rotated so that the hammer would strike another surface, but the crack was never repaired. « What a GREAT day!